Bookshelf speakers are an attractive alternative to floorstanding speakers in smaller rooms or simply if you want something more compact. Despite being called "bookshelf" we prefer the term "stand mount" and always recommend using a good pair of speaker stands for the best sound (you can also adjust the level of bass response by adjusting the level of "filler" within a pair of fillable stands). All "bookshelf" speakers here are passive, so must be used with a suitable hi-fi amplifier. 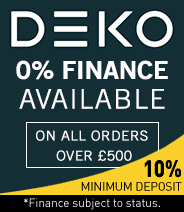 While hi-fi is our speciality and you'll always enjoy the best sound with a full hi-fi separates system, we also sell active and wireless speakers. We can demo any of these speakers in our showroom by prior arrangement. Traditionally for hi-fi, floor standing loudspeakers were seen as the ultimate option, with most enthusiasts believing that bookshelf speakers were too lightweight or compact to compete with their larger counterparts. 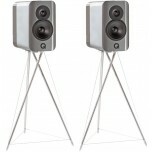 However, over the past 20 years, with manufacturing and miniaturisation techniques vastly improving, bookshelf speakers have hugely improved, to the point where they can compete with floorstanders, with their own advantages as well. Bookshelf speakers are regarded as having more attack and rhythm than floor standing models, making them more suited to complex arrangements and rhythmic music. 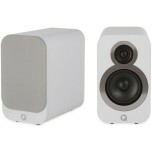 This is often seen as a compromise between the weight and dynamics of a floorstanding speaker, and the rhythm and musicality possible with a bookshelf speaker. 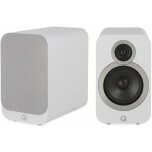 Driver design and material is an important factor in choosing a bookshelf speaker. Many different materials of driver exist, ranging from Kevlar to paper – the key distinction however is between metallic and non-metallic drivers. A metal driver, typically aluminium, is often favoured for its accuracy and precision. However, for some listeners, this can be described as “bright” or “analytical”, and seen as at the expense of musicality and warmth. Non-metallic drivers are typically more musically engaging, though not offering the absolute precision of a metal driver. Tweeter design can also massively effect the overall sound signature of a bookshelf speaker. Most speakers, particularly entry-level and mid-range models, use a dome tweeter, which is as the name suggests dome-shaped. However some models, particularly higher-end ones, utilise a ribbon tweeter, which is a diaphragm of stretched metallic ribbon. A ribbon tweeter will deliver much sweeter higher frequencies, dispersed in a much wider fashion, giving greater imaging and soundstage. Typical driver and tweeter configuration in bookshelf speakers, and indeed other models of speaker, is to have a main bass/mid frequency driver or woofer, and a separate tweeter handling high frequencies. However, some manufacturers choose a design where the tweeter is housed within the centre of the main driver, which improves dispersion and imaging and makes positioning an easier and more forgiving proposition. Bookshelf speakers should really be called “standmount” speakers, as they are rarely used on a bookshelf and will virtually always sound better on a dedicated speaker stand. These stands are ideal as they enable you to position the speakers at the ideal listening height – which is having the tweeters at ear level from the usual seating position. This ensures that optimum imaging is achieved, and that there is coherency and integration between the woofer and tweeter. Dedicated stands can also enhance bass extension, adding weight and authority. Many stands are fillable, allowing you to add weight and mass and further improve the bass performance of your speakers. Spikes on the base of the stands ensures isolation from the floor, and eliminates unwanted resonance affecting the sound of your speakers. Don't forget to buy a suitable pair of speaker stands and good speaker cable as well! 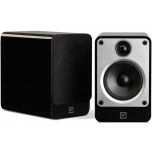 Call or e-mail us if you need any further help in choosing your new pair of speakers.